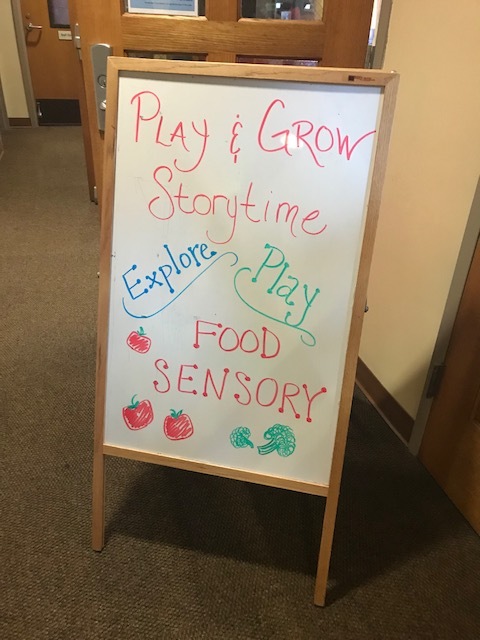 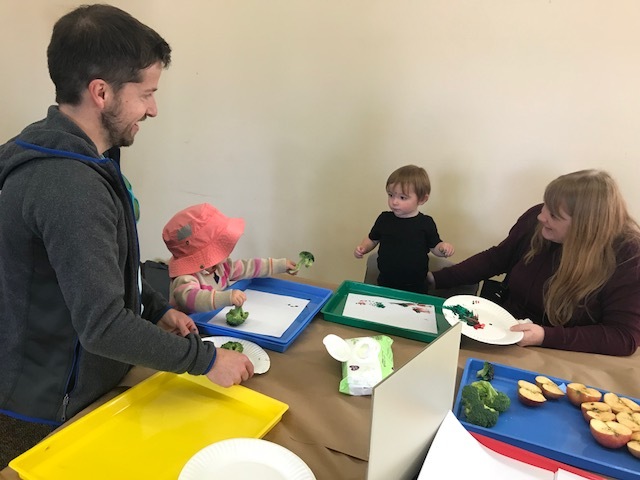 On Saturday, September 29th around 60 parents and kids got down and dirty with food at a special Sensory Storytime at Wheelock Branch. 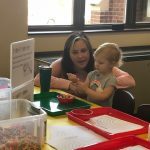 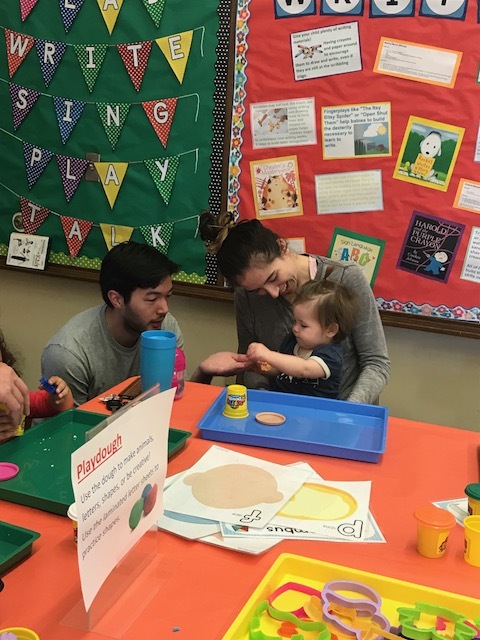 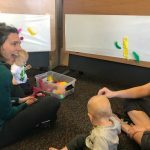 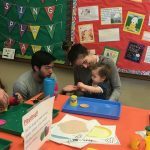 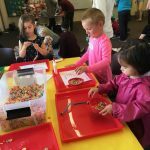 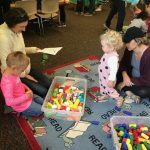 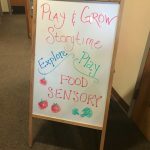 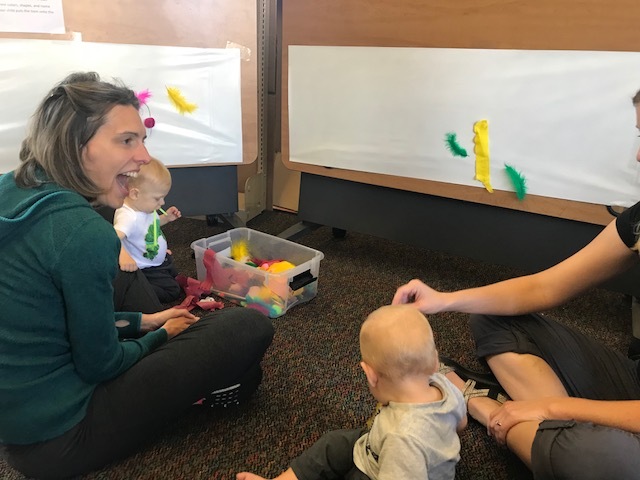 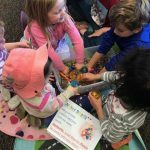 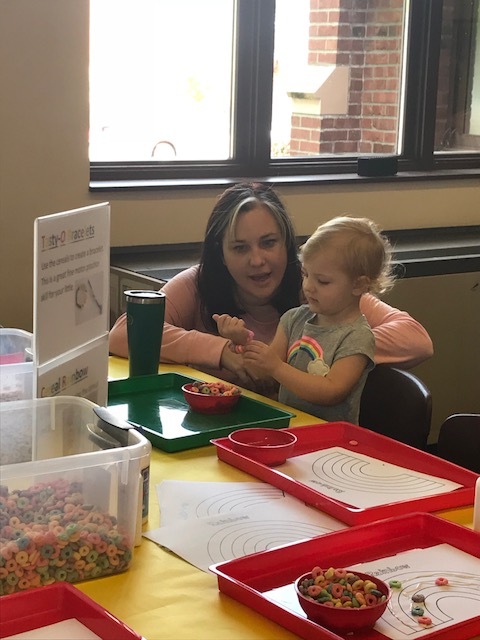 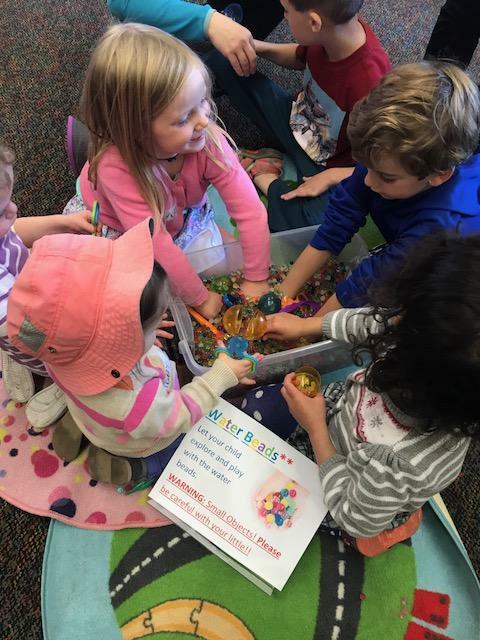 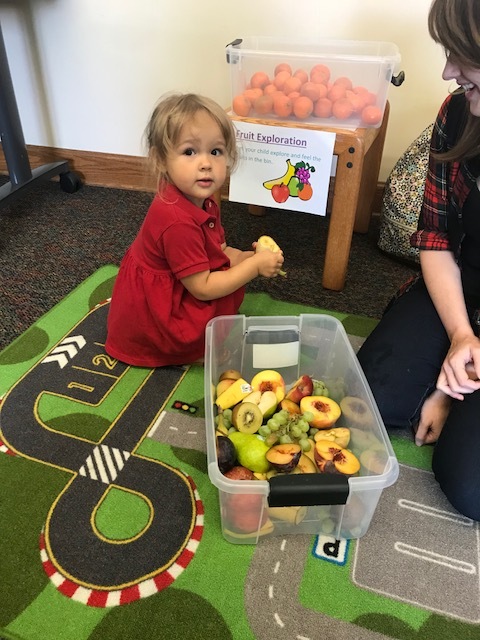 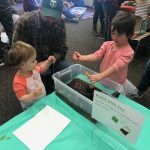 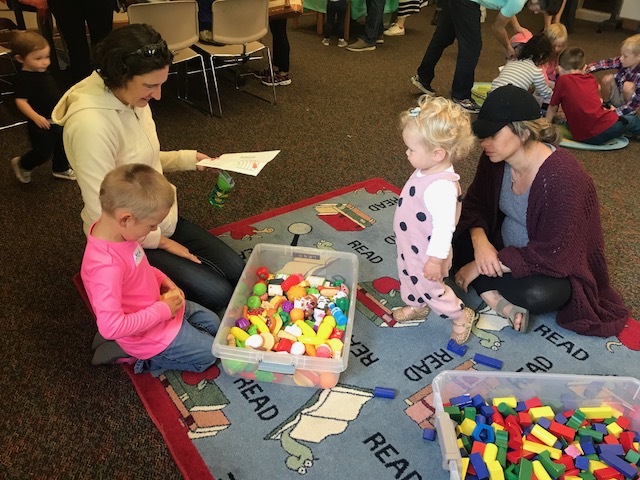 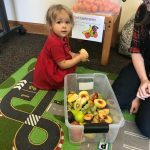 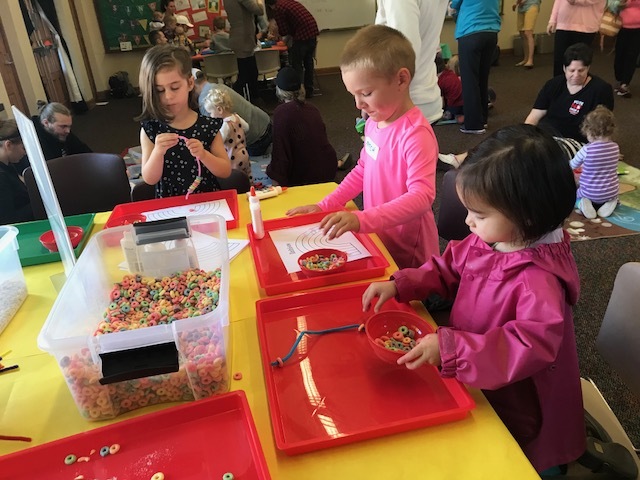 Children's Librarian Elizabeth Covington created several interactive stations around the room for kids to explore including; stringing cereal necklaces, painting with apples and broccoli, playing with waterbeads and more. 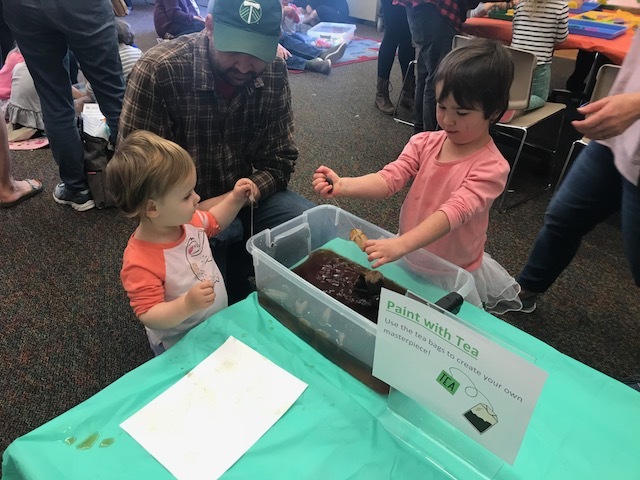 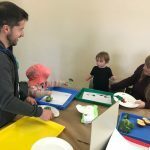 Families had a fantastic time at this hands-on event and more are planned.